Austin, Texas — South by Southwest Film Festival, March 17, 2018 – Paris-based mk2 has acquired location-based rights to sell and distribute four Cirque du Soleil Virtual Reality Experiences coproduced by Cirque du Soleil Images, the multimedia production division of Cirque du Soleil, and Felix & Paul Studios, the leader in the field of high-end cinematic virtual reality. The creative partnership between Cirque du Soleil and Felix & Paul Studios has proven extremely rewarding with the successive releases of four virtual reality experiences: Inside the Box of Kurios, winner of a Daytime EMMY® Award for Outstanding Interactive Media; KÀ The Battle Within, featured at TIFF Cutting Edge Pop VR; DREAMS OF ‘’O’’, a SXSW Outstanding Technical Achievement Award winner; and their newest production, Through the Masks of LUZIA, recently nominated for a Canadian Screen Award in the Best Immersive Experience category. mk2 will release the four VR experiences at their VR cinema locations in Paris and in their network of VR Pods previously announced at SXSW in Q2 2018. mk2 will also broker distribution licenses to other third-party VR cinemas and location-based entertainment centers around the world. “We are thrilled to pursue our collaboration with VR masters Felix & Paul Studios and contribute to making these incredibly beautiful and innovative experiences available to the fast-growing location-based audience worldwide,” says Elisha Karmitz, General Manager at mk2, speaking at the 2018 South by Southwest Film Festival. mk2, which runs a thriving arthouse theater chain in Paris, opened one of the first permanent virtual reality facilities in Paris in 2016. The group then expanded its international sales division to start distributing director­ driven VR content from around the world. “The idea behind these diverse VR initiatives is to build a chain of rights for distributors and improve their access to VR content through festivals, VR­ dedicated facilities and digital platforms,” said mk2’s Karmitz. ‘’Cirque du Soleil is constantly looking for ground-breaking approaches to get off the beaten path and to build unique worlds that will enhance its audience’s journey,’’ says Sébastien Ouimet, Senior Manager, Content & Distribution Partnerships at Cirque du Soleil. 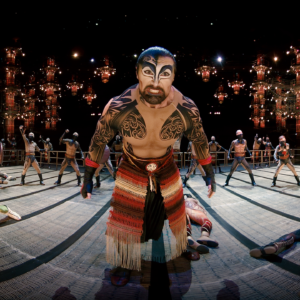 ‘’This partnership with mk2 is a natural continuation for us in exploring innovative ways to offer our virtual reality experiences to new audiences and in complementing Cirque du Soleil’s live entertainment offerings’’. mk2 is a multi-award winning film exhibitor possessing a know-how extracted from 42 years of cinematic excellence. mk2 produced more than 100 movies and operates 26 theaters in Europe. mk2 has been awarded several times for the movie they produced or distributed, including 160 awards in major film festivals. From mk2’s conception to today, innovation and creation has been part of their DNA. mk2 VR is a logical move for such an innovative and experimented company. mk2 aims to empower the virtual reality world by opening venues, investing in content production and distribution, while offering plug-and-play technology and a communication agency dedicated to VR.